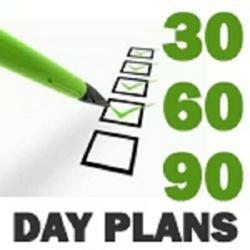 Posted on June 1, 2013 by Greg Bonsib Tagged 30-60-90 day planDoug ThompsonHRManagementMarketing planMarketing strategyNew employeeOnboarding	Comments3 Comments on Are You Using a 30-60-90 Day Marketing Plan? Are You Using a 30-60-90 Day Marketing Plan? Are you joining a company with big problems? 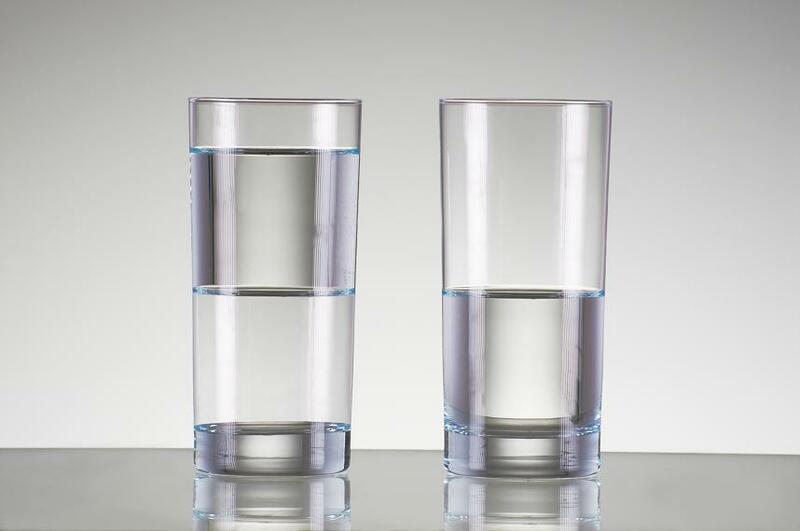 It may be too cliche, but it probably depends on if you see the glass half empty or half full. It’s easy to get caught up in the hiring process and your ego can get in the way of asking the right questions. You may never uncover or, worse, miss the warning signs that would prove that you cannot gain the commitments you’d need to succeed – especially with those critical quick wins that will help you gain credibility and traction with a new employer’s organization. If you see the opportunity, the alignment and the financial backing, then you should accept that new position but only if you have a plan for success. If any of those pieces of missing, there’s a good chance that you will fail. I’ve recently updated this post with more specifics for your marketing action plan. Take a look at What Does A 30-60-90 Day Action Plan Look Like For A Marketing Leader? 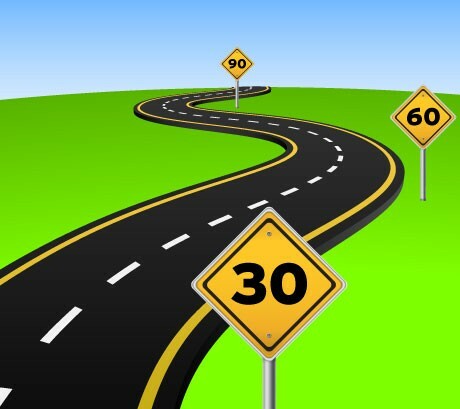 To build your initial action plan, think in terms of the first 30, 60 and 90 days. This 30-60-90 day on-boarding plan is marketing focused and is based on experience and input from my colleague Doug Thompson, General Manager Rockwood Manufacturing at ASSA ABLOY. The focus in the first 30 days is about developing rapport and teamwork. Your main goal is to be a sponge and learn about the people, product, sales and marketing within the company. We have built this plan with the idea that the role being filled is a senior marketer in the company. In this 30 day block, you are moving from strictly learning into a phase that involves gaining insights that you can weave into the recommendations you’ll be making later. 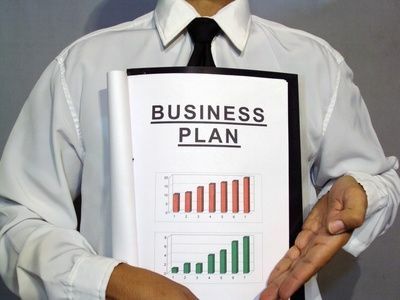 Coming prepared with a 30-60-90 day on-boarding plan signals to your potential employer that you’ve done your homework. It also demonstrates how you will work to gain traction within the organization to help ensure your success. But be clear in your own mind that the 30-60-90 day action plan is your process to use before being hired to uncover whether that proverbial glass is half full or one about to be completely drained. This entry was posted in Management, Marketing, Product Marketing and tagged 30-60-90 day plan, Doug Thompson, HR, Management, Marketing plan, Marketing strategy, New employee, Onboarding. Bookmark the permalink.